Looking to create a vanilla custard cream ? Not without this Capella Vanilla Custard concentrate ! On its own or in recipe, you can't do without it for your vaping juices ! A creamy vanilla e liquid !
" 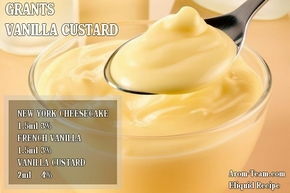 - All my vaping friends or even e cig forums are talking about custard recipes, I wonder what it is! - In Diy e liquid, the custard recipe has become a reference for a gourmet vape juice. 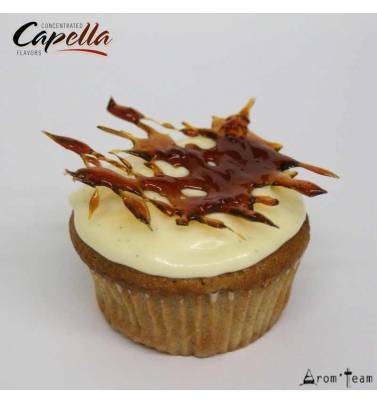 Of course, the base is vanilla and especially this Vanilla Custard Capella aroma that brings the taste of custard, vanilla cream. It is even a pastry cream made of milk, cream, egg yolk and sugar. It's so good that we end up putting in all the recipes! 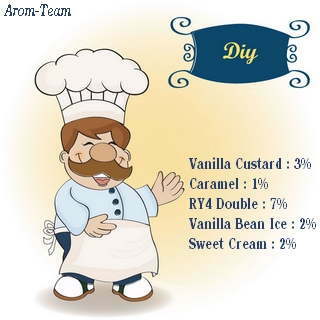 How to use Vanilla Custard flavoring? Whether you want to compose vanilla custard desserts as a vanilla ice cream, a sweet cupcake or a fruity recipe, this concentrate quickly becomes the best e cigarette custard and cream flavor. This Capella flavor blends easily with fruits - berries, watermelon, pineapple - all gourmet flavors and even vanilla tobacco flavor for a satisfying ejuice ! How to make a custard cream e liquid ? How long to steep a vanilla custard e liquid recipe ? Is this vanilla flavour intended only for vaping use ? 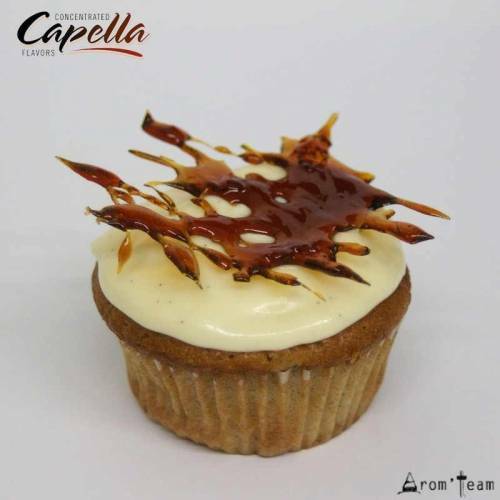 This Capella vanilla is a food grade flavor that you can use in pastry, ice cream or yogurts, in drinks. Does capella vanilla custard contain diacetyl ? Diacetyl is a chemical compound used in the food industry to create creamy, buttered flavors. It is part of a group called diketones, which also includes acetyl propionyl and acetoin. Diacetyl is used without problem in food and present in tobacco cigarettes at a rate 10 to 100 times higher than in vapor. Nevertheless, the vape industry has preferred to remove these substances from their products as a precautionary measure. Capella guarantees all its aromas without diacetyl. Vanilla Custard Capella v1 or v2 ? Vanilla custard is not new! The ancient Romans were the first to understand that the egg thickens when cooked and that it marries very well with the sweet taste. They made a dessert, decorating it with honey, nuts or cinnamon. During the medieval period appeared the first flans and creams, particularly appreciated in Europe and Asia. And it was only in the colonial era that pastry cream arrived in the United States, carried by European immigrants. A paradox when you know that this Vanilla Custard Capella flavor coming from the USA is now the most sold in the world of the vape!